Discussion in 'The Lounge' started by Muffin, Jul 20, 2018. The goal of this thread is to get everyone together in the DFFOO community that plays other games, on other platforms or applications, whether it be on mobile, PC, or consoles. I'd like to keep this post updated as much as possible and post each individual person's "game contact information" in the following posts. I'll reserve sections for PC (individual platforms such as Blizzard App, Steam, etc. ), mobile (each game stated with the ID following), consoles (Playstation / Xbox / Switch) so each is easiest to find. If you would like to include any communication apps that you use, please state them in your OP. Thank you everyone, and may the RNG guide thee! Wolvie and Cloud 616 like this. Roche and Wolvie like this. Wolvie and SirIgnis like this. I play FFBE (same username as DFFOO), but there is a small chance (as I'm writing this) that I might be leaving FFBE for good between September and December (for reasons unrelated to FFBE). Fair enough! I still added you to the mobile games. If you ever do decide to quit/want to be removed, just let me know! On mobile, I play Fire Emblem Heroes. My FEH friend code is 7672157243. My Avatar Hero is Adult Tiki (original IV is +RES -SPD) who I am currently working on to a five star +10. She has ally support and summoner support. I do have PSN but I don't really want to show it since I don't plan on getting a PS4 (unless you play Under Night because I heard it has cross play with both PS3 and PS4). I was always a Playstation guy but I intend on stopping at PS3 and go for Steam. I just need the parts for a gaming PC. Unfortunately I don't have a Nintendo Switch but I plan on saving up to get one. I'll post my Switch Friend Code here eventually. Muffin and Wolvie like this. I play FFBE JP (a lot more now that Aerith has an event rn ). My ID is 460,045,846 and I'm sharing a 7 star lvl 101 Cloud right now. I'm working on maxing his attack. I have a GL account with a Noctis main, but I'll have to update this thread whenever I get back into my account. I play KHUX GL on and off. Sometimes I'm super casual, sometimes I lose myself to the darkness and grind like mad! My ID is 3437551 and I'm in Nerdherd party right now. We're pretty casual! I'm sharing a boosted, fully guilted Attack B V Max + GA 2 Cloud right now, but I have some other guilted medals and some copy medals as well. I also play FFRK JP and GL (GL more right now!). My JP code is GwT6E. I'm sharing a lvl 93 Zack with Climhazzard Xeno for all your wind clearing needs! I also have Air Strike (his helicopter thingy!) if you ever need a guaranteed interrupt. My GL code is m75M , and the account is much more impressive. I'm sharing a lvl 97 Cloud, and I think he and I have all Soul Breaks unlocked minus his KH collab SB. I'm sharing his USB right now, but I have all his other SBs so if you ever need a Cloud to get you through an event I have you covered All his weapons, minus KH collab, have mastery so he's got a good +70~ on attack through mastery alone. I'm working on his Record Spheres, but we're halfway done with his legend sphere when I make this post I also have Zack (lvl 90+) with his Wind Chain so if there's ever a Raid event where the enemy is weak to wind, I've got you covered! Most of my FFVII characters and some XV characters also have some good SBs! I also play a newer mobile game called Food Fantasy. It's an RPG + restaurant simulator. I played on the Chinese server before GL release, so I plan on sticking around since everything is in my first language now! My ID is 157668 and my UR right now is Bamboo Rice. I'll help clear ghosts from your restaurant though, and I have lots of tips for getting through the story levels! I play FFBE GL (current main is Onion Knight with his own TMR plus Sephiroth's TMR [that I enhanced], may change it to Loren once her 7-star form comes to the Global side). Lucky you on getting Sephiroth! I think I might have him on my GL account (it's been so long since I've been on! 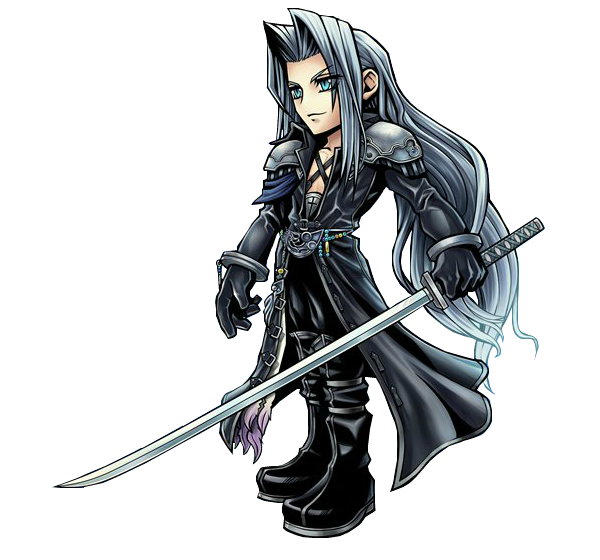 ), but I know whenever I play a round with a friend Sephiroth he wrecks everything. I got 3 Sephiroth in the first two laps of his step up banner. Final lap was 2 Lila. And I don't mind the discussion, but try to stay on topic. Easier for me to read what ID is for each game rather than having to roll through a barrage of text. Use to play ffbe. Took up to much space. I joined mobuis when 13 event came out (cough I'm a VERY big fan of 13 trilogy) but took up lots of room for my other games. Idk what's my Id on opera omnia. Anyone on forums play Theatrhythm: Curtain Call ? We could share friend codes to play when offline from DFFOO. I do not, but i'd be willing to give it a try. How is it? EDIT: I've picked up Grimms Notes. That one is pretty fun. I plan on getting a PS4 or Switch soon, so I’ll be sure to update this.